Through communing with locals, partaking in local traditions, and venturing out into caves and forests, she embarks on a voyage to elevate her emotions and consciousness and create a new piece of art that will lift up the people of she meets along the way. Extending her concern – last seen in Marina Abramović: The Artist is Present (2012) – with the physical limits of the body, Abramović seeks a cure in the Brazilian countryside for what ails her. On her journey, she encounters various ways to deal with her pain. Beginning with seemingly benign herb and crystal treatments, she then visits the so-called ‘psychic surgeon,’ John of God (like me, you might need to cover your eyes for this rather gruesome sequence). Abramović also submits herself to what she calls the worst experience of her life, drinking the hallucinogenic tea, ayahuasca. Abramović is unsurprisingly unguarded in her interactions with the Brazilian landscape and its people. The ‘space in between’ referred to in the film’s title is the space where you discard the old and make yourself ‘open to destiny and new ideas.’ For Abramović this means connecting her present to her past experiences and using her memories, whether happy or not, to enhance her creative practice. Posing the artist against exotic, striking landscapes, Del Fiol’s film expresses the idea that there is more to life than what we know of it, and draws a line between performance art and spiritual ritual. 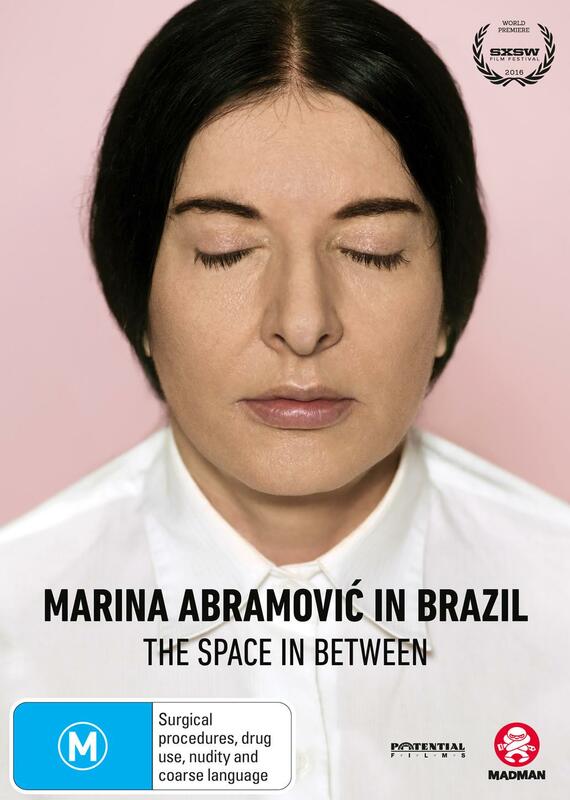 Marina Abramović in Brazil: The Space in Between strengthens both the artist’s – and audience’s – belief in the power of art to transform individuals and the world.